Over the last couple of weeks our nation has been engulfed in a shameful wave of attacks by some amongst us against our country`s immigrant population. Regardless of the cause of these barbaric deeds, the African National Congress regards them as criminal acts against vulnerable and defenseless people who have sought refuge, solace and economic prosperity in our country. Resolutely as a nation we must condemn in the strongest possible terms attacks on anyone of the basis of their geographic origins. As we celebrate 21 years of freedom this month, we do so knowing that this freedom should be shared and owned by the peoples of Africa as whole; many of whom come from countries who were nothing but friends to the South African people during our dark days of apartheid brutality. These unpardonable attacks against them are a shameful assault our very humanity. As South Africans, the far vast majority of whom are deeply rooted in values of humanity, solidarity and brotherhood, we are forced to once again hang our heads in shame in the face of these misguided and misplaced assaults. The very real challenges faced by the South African people of poverty, unemployment and underdevelopment cannot be blamed on people of foreign nationality. We are aware of the concerns raised by small business owners in particular as it relates to what they perceive to be the negative consequences of the presence of immigrants in their communities. This is one of the reasons the ANC government established the Department of Small Business Development amongst other interventions to ensure focused attention on the pressing challenges facing this sector. Attacking our African compatriots will not resolve the problem. Long before the influx of people from other parts of Africa into South Africa, our country has battled with an unequal society as a legacy of our exclusionary and racist past. Immigrants are not the enemy. Their suffering too is as a result of our continent`s shared legacy of a colonial and apartheid past. The African National Congress is appealing to communities throughout the length and breadth of our country to desist from these barbaric acts which feed into a narrative of a violent society, devoid of revolutionary compassion to our fellow human beings. We are calling on leadership wherever they may be, as well as on our communities, to exercise maximum restraint and guard against instigating further violence. The law enforcement agencies must act without any fear or favor to halt this state of affairs and bring all transgressors to book. It is not the role of or communities to violently police the legality or lack thereof of those who reside amongst us. Government, including the South African Police Services, are dealing with these matters to find lasting solutions. Ours is a nation that has faced and defeated the very worst of human brutality during apartheid, our people cannot be the ones to inflict such heinous cruelty on our fellowmen. 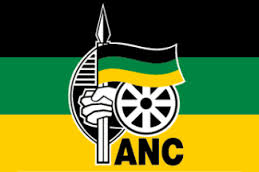 The African National Congress expresses its sincere condolences to the families of those who have lost their lives during this period of unpardonable acts of violence. We further trust that government working together with civil society and our communities will ensure that soon conditions are created to reintegrate those who have been displaced.